There are several signs that your pet is experiencing mouth pain. The pain can be anything from a little sore on their gums to oral cancer. That’s why when your pet displays signs of mouth pain you should take them to the pet dentist, veterinarian or animal hospital if the other two have closed for the day. You don’t want your pet to suffer, nor do you want the cause of the pain to get worse. They may simply have a piece of food stuck between their teeth something an animal teeth cleaning could take care of . It is not normal for your pet’s breath to smell bad. You smell your pet’s breath every day, if it smells bad, odd or just not like their breath. Then your pet may be experiencing a dental problem. 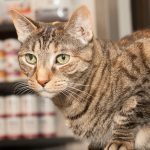 If your pet is ignoring most of their food, sitting next to the bowl of food and not eating it, only chewing on one side of their mouth, swallowing their food whole, prefer soft food, not eating their favorite crunchy treats, or dropping the food while trying to eat it – mouth pain is the culprit. If your pet enjoys having the sides of their face petted and suddenly no longer wants you to touch that area, it may be because their mouth hurts. If your Pet is salivating more than normal or if there is blood in their saliva that is a sure sign they are experiencing mouth pain, and possibly even an infection. If your pet is trying to paw at their mouth or is shaking their head back and forth a lot, that is a good indicator they have mouth pain. If your pet usually meets you at the door after work and you come home to find them sprawled out on the floor just looking at you that is a good indicator something is not right. If your pet has suddenly become aggressive for no reason, if they have withdrawn from you and would rather lay on your bed alone instead of on or near your lap, refuses affection, decreases the amount of dog grooming or cat grooming, don’t want to play or a decrease in how much or what they want to play, (with dogs if fetch is a no go at play time it is because their mouth hurts, with cats they tend to grind their teeth, and is experiencing a disturbance in their normal sleep pattern. These are all normal signs of mouth/oral pain. You can try pet grooming this may help them relax a little. If your pet will let you try to lift up their lip in the back, if you can see a chipped or cracked tooth, red and swollen gums, or a yellowish build up on their teeth that you know doesn’t look right, ten your pet is definitely having mouth pain. Call your pet dentist and explain your pet’s behavior and what you saw if their mouth (if anything) and make an appointment at the pet hospital for as soon as possible. Why Do I Need a Dog Dentist? Your dog can have many of the same disorders as humans with his mouth and teeth. It is very important to use a veternarian that is also a dog dentist to clean your dog’s teeth as well as to provide care for painful oral procedures. Pet parents must recognize that teeth cleaning at their animal hospital is a part of pet grooming. When bacteria infects the tissue around your dog’s teeth, it causes inflammation in the gums, as well as the surrounding bone and the ligaments that hold the teeth around the jawbone. This is the number one cause of tooth loss in your canine family members that is preventable. According to the Merck Veterinary Manual, gum disease can occur from improper oral hygiene of your pet or it can be genetic, caused by diet, be breed specific or due to age. Cat grooming and dog grooming includes cleaning your pet’s teeth and gums for good oral hygiene. Bacterial plaque inflames gums in the form of gingivitis. This is the first stage leading to gum disease. Many dogs experience bad breath and gums that bleed when touched. This is a painful condition for your dog, although a dog dentist can clean your four-legged family member’s teeth including below the gum line to reverse it. If not treated properly at this stage, your pet will develop periodontitis. The tissue damage is more severe in dogs when gingivitis is not corrected and it includes gums, bone and ligaments. This occurs after having several years of gingivitis with plaque and tartar buildup. Feeding your dog hard kibble rather than canned or soft food helps to clean his teeth better as he chews and can prevent canine gum diseases. This condition can also be treated with a professional animal teeth cleaning including below the gum line and home care of brushing your dog’s teeth, oral rinses, plaque prevention gels and a change of diet. This tooth disease occurs inside of the canine teeth in the form of cavities, fractured teeth and tooth decay. If endodontic disease is caught early through dental cleanings with x-rays, your pet can have a tooth extraction or a root canal to correct the painful tooth problem. Tooth decay or cavities are quite uncommon in dogs. However, a pet dentist can discover a cavity through x-rays and routine teeth cleanings and place a filling in the cavity in the same manner as human cavities are filled. In the case that your canine family member has a severe accidents and incurs trauma to his face or jaw, he may need to have a tooth pulled or a crown. In extreme cases, the jaw may need to stabilized and require pins or wires for it to heal. A professional pet hospital is needed for this type of treatment that takes about 6 to 8 weeks to heal properly. Puppies are all born with an overbite so they can nurse on their mothers. The lower jaw has a growth spurt to keep up with the puppy’s growing nutrition need when they start eating solid food. The lower teeth may come in before the correct time for the bottom jaw to grow longer, this makes the upper jaw catch behind the lower jaw. The correction for an under- or over-bite in puppies in generally to remove some of the puppy teeth so the jaw grows in correctly. Puppy’s may also retain puppy teeth and grow adult teeth resulting in too many teeth for their mouth. A pet dentist will remove the puppy teeth that don’t fall out to prevent pain. Some puppies may also have dog braces to move teeth into the correct position if they are unaligned to encourage good eating habits. Winter brings cold temperatures, drizzle, and snow. Unfortunately, many pet owners do not think about how cold temperatures affects dogs and cats. To keep your pets warm and healthy this winter, follow these veterinarian tips. Veterinarian Recommends Plenty of Food and Water During Winter Temperatures. Cold temperatures can be deadly, but dehydration causes a drop in body temperature to occur much faster. Furthermore, pets require additional nutrients to keep their metabolism up during the winter, explains the Human Society. Provide Shelter While Pets Are Outdoors. If your pets go outdoors to use the bathroom, your pets may spend more time outdoors than necessary. Being outside for short periods of time is not an excuse to not provide draft-free shelter for your pets. Make sure your pets have a place to get out of rain, snow, and the cold when going outside, regardless of the amount of time spent outdoors. Unless your pets cannot be brought indoors, always bring pets indoors during cold temperatures. If nothing else, provide an additional source of heat for your pets, such as a heat lamp. However, the heat lamp should be positioned away from flammable materials, and your pets should be able to get out of the direct heat if need be. Antifreeze contains chemicals that may cause kidney failure and death in pets, wild animals, and humans. Avoid leaving antifreeze in areas where your pet may come into contact with it. Antifreeze is naturally sweet and attracts thirsty animals. If you notice antifreeze on the ground, clean it up immediately, and keep your pet away from the area. If your pet ingests antifreeze, get him to your veterinarian immediately. Maintain Supervision Over Your Pet. Indoor heaters are commonly used to provide additional warmth inside homes across the country. However, heaters can pose a significant danger to pets. Pets may knock over electric heaters, become burned, or become otherwise injured from indoor heaters. While using such heaters, keep an eye on your pet. Never leave your pet unattended while portable heaters or open-flame heaters are on. Although you want to keep your home and pet warm this winter, you need to take a few factors into consideration. 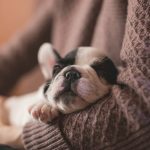 By following these tips, you can keep your pets safe and warm without risking a trip to the veterinarian due to an emergency. If you will be leaving your home for a few days, consider boarding your pets at a veterinarian’s office, such as University Animal Hospital. Chances are you’re probably spending time with your furry children this holiday season. With that in mind there are always precautions that should be taken. Here are some holiday pet safety tips to factor into the festivities. Christmas trees are beautiful but make sure you keep your pet away from the tree stand. The water in the stand can house fertilizers from the tree itself and bacteria can also grow in the stagnant water. There’s also the concern of the tree itself. It should be secured well enough that you don’t run the risk of it tipping over on a curious cat or dog. Perhaps place it in the corner where tipping is less likely. Tend to the area frequently to remove any possible pine needles which can cause intestinal problems if swallowed. Holly and mistletoe are poisonous to pets and can cause serious health problems. I suggest going artificial with these. Lilies, poinsettias, amaryllis, hibiscus and certain types of ivy can cause problems for pets so those should be avoided as well. Avoid tinsel around the house. It’s pretty to look at but there’s nothing pretty about an obstructed digestive tract or emergency surgery — which can be a possibility if your pet ingests the sparkly decoration. Stick with twinkle lights instead of candles. Unattended candles around your pets is just asking for trouble. If you must go with candles be sure they are in solid protective holders and that you blow them out when you leave the room. If you go with those twinkle lights make sure the wires are out of reach. Keep from off of the lower branches of your tree. The ornaments hanging from your tree or around the house could also be dangerous if ingested or stepped on by your furry child. Be cautious when wrapping gifts. String and scissors should be kept off of floors or low tables where they are less likely to be touched by your pets. Be careful with the human food. During the holidays there are an assortment of goodies that can be dangerous is consumed by your fuzzy children. The obvious chocolates and artificially sweetened items should be kept away and in a safe place. Keep in mind any fatty or spicy foods and especially anything with bones. Keep any alcoholic beverages away from your pet’s roaming tongue as well. Any of these people-friendly items can be issues for your pet. Do yourself a favor and ensure that the lid to your garbage can is also secure. If you’re planning on gifting your pet any toys be sure to stick with pet-friendly chew toys. Kong toys are safe and can be safely filled with treats. For your cat try to avoid stringy toys. Ribbons, yarn and little pieces can cause digestive issues and potential obstructions. Spare yourself the inevitable grief and don’t even bother with these toys. Stick with a new ball (that’s too big to swallow) and consider a stuffed catnip toy or interactive cat dancer. Tell your house guests to keep their medications carefully zipped up and packed away. Consider giving your pet a private space somewhere quiet they can retreat to away from all the noise and commotion. New Year’s is the next major holiday on the agenda and with that comes noisy poppers and fireworks. Avoid giving pets as gifts to those not in your immediate family. A pet is not like caring for a plant. It’s a full-time job. Gifting a living being to someone who may not be prepared to handle everything that comes with that is not a good idea. This is what often results in animals being given up for adoption a few weeks into the new year. If you plan on giving someone a pet as a gift make sure they’re aware and have told you they are okay with that. There are always unforeseeable incidents that can occur so make sure you have some emergency numbers easily accessible should anything happen. Remember that our doctors are only a phone call away and can be reached if you have any concerns or questions. I’ll never forget a dog we saw a few years ago suffering from lethargy and diarrhea. After having X-rays done we saw a perfectly centered metal “Star of David” in the dog’s stomach. It had been in the cup-holder of a client’s car. The client has placed a cupcake on top. Left alone for just a moment in the car resulted in the dog swallowing the cupcake and the star. Luckily the dog was okay after some surgery but the issue could have been easily avoided with some easy pet-proofing. That was just a dog in a car. Imagine a home filled with visiting guests and holiday chaos. Safe yourself the headache and take a little time to ensure your holiday festivities are joyous and relaxing. Many pet parents love dressing up their pets during the holidays. Pet stores are filled with pet outfits for Thanksgiving and Christmas; however, some pet outfits may pose a danger to your pets. Furthermore, some pets may be allergic to certain materials in the fabric. To help make sure your pet avoids a trip to the animal hospital, follow these bits of advice when dressing your pet for the holidays. Strings on Pet Clothes Lead to the Animal Hospital. Strings can attract all sorts of trouble. People may step on them and cause injury to your pet. Strings may become frayed, and broken strings can pose a choking hazard for your pet. Avoid pet clothing that contains loose, fringed, or frayed strings. This will help keep your pets from becoming a tangled mess while wearing their holiday-best. Inspect Clothing Prior to Wearing It. Regardless of the age of your pet’s clothing, always inspect pet clothing prior to placing it on your pet. Clothing may become damaged over time, and articles of pet clothing can be a breeding ground for fleas, other inspects, and skin infections. If an item has a foul odor, make sure to wash the item before placing it on your pet. Also, beware of skin irritations from areas when clothing rubs the skin. If Pets Chew on Clothes, Take It Off. Pets do not wear clothes in nature, so avoid forcing your pet to wear clothing. If your pet begins to chew on the article, remove it immediately. You do want a loose button or bead to end up at the end of an endoscopy tube at the animal hospital. Some bitter sprays are available over the counter to help deter pets from chewing on your clothing and belongings as well. Watch For Signs of Heat Exhaustion. While indoors, you can lose track of your pet’s whereabouts and condition, especially during busy times during the holiday season. If your pet appears to be panting excessively or avoiding people, remove any clothing. These behaviors could be a sign of heat exhaustion. If your pet appears excessively lethargic, contact your veterinarian immediately. Your pet may love wearing their holiday-themed outfits, but you need to take a few extra steps to make sure pet clothing stays safe and comfortable. By following these tips, you can reduce the stress on your pet from holiday-themed, pet clothing. To learn more about proper pet health, contact us at the pet hospital today. Despite what you might believe or have heard – IT IS IMPORTANT to spay and neuter your pets. There are quite a few reasons why this is true. First and foremost there are the obvious health reasons that one should consider. Neutered dogs live an average of 18% longer than un-neutered dogs. Spayed dogs lives 23% longer than un-spayed dogs. The reduced lifespan for these unaltered pets often has to do with an increased urge in unfixed animals to roam. This leads to increased likelihood of being struck by cars, fighting with other animals and a wealth of other potential mishaps. Another major factor is the decreased risk of certain types of cancers. 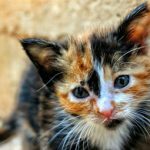 Female cats and dogs who are unspayed run a greater chance of developing uterine cancer and other cancers of the reproductive system, as well as pyrometra, a potentially fatal uterine infection. Male cats and dogs who are not neutered have a greater chance of getting testicular cancer and it’s believed they have higher rates of prostate cancer as well. The most absurd justification for choosing to not neuter male dogs is the owner’s concern that their male dog will feel less “masculine” if neutered. Animals do not have any concept of sexual identity or ego. These are human constructs. Neutered male dogs do not feel lesser than their un-neutered counterparts. They are, however, less assertive and less prone to “marking” than unneutered dogs. Would you prefer your pet urinate everywhere that he smells another dog’s scent? Fixing animals solves 90% of marking issues — even in cats that have been doing it for a while. In cats it can also minimize howling, fighting with other males, and the urge to roam. While getting your pets spayed/neutered can help curb undesirable behaviors, it will not change their fundamental personality. Their protective instinct, for example, will remain intact. Beyond the health concerns there is the matter of homeless animals. The United States is overrun with them. There are estimated to be anywhere from 6-8 million homeless animals entering animal shelters every year. Less than half of these animals are adopted — the rest of them are euthanized. These are healthy and lovable pets who are put to sleep primarily because of a lack of resources. These are not all “street” animals. Many of these pets are puppies/kittens (some even purebreds) who have been abandoned or lost. Healthy and loving pets that simply do not have homes. I’m amazed that many people are completely unaware that more than 2.7 million healthy and adoptable cats and dogs are euthanized in shelters every year. I have known about this since I was a pre-teen and considered it to be common knowledge. Still, again and again, I find myself explaining this fact to people only to be met with wide-eyed surprise. Few seem to be aware just how big of a problem this is. Even people who do not intend to breed their pets often don’t consider the possibility that their pet could be lost at some point. Suppose your male or female dog/cat got loose and came across another unfixed dog or cat in the wild. Their interaction could very easily result in a litter of unwanted pets. It happens every day and it’s a big part of why shelters are overrun with unwanted animals. Believe it or not it is also more cost-effective to care for a spayed or neutered animal. When weighed against the potential medical costs that are common in unfixed pets, spaying and neutering procedures are far less expensive in the long-run. Do you know how expensive it is to treat a dog or cat with cancer? Even the cost of a renewing a pet license is cheaper for fixed animals. The reality is that it’s just less expensive to have your pet fixed. If you’re still not sure this is the best thing you can do for your pet you should discuss this with one of our amazing veterinarians who can discuss all of the options and help you to make an informed decision about your pet and his or her health. I grew up in a household where human food was regularly offered to the family dog. Passing a scrap of food to the family dog isn’t the most absurd thing for any pet owner to have considered at one time or another. My mom used to let our dog lick the plates clean after many of our family dinners. Though she always told us not to give our dog chocolate (something she’d heard from her veterinarian) she was oblivious to some of the other foods that are quite toxic for our fuzzy children if consumed. I distinctly recall her feeding our dog Corky grapes on several occasions. She was completely oblivious to the damage that can cause. Thankfully, Corky still lived a long and healthy life despite his dietary missteps. Fred (the one with the horrendous teeth, remember?) has to settle for getting the occasional bit of boiled chicken mixed in with this dry food. With Thanksgiving approaching I thought it would be a good idea to compile a list of foods and substances you should definitely not be feeding your pets. With the gatherings that tend to happen around holidays we often find our homes flooded with visitors and the family pets have many opportunities to beg their way into receiving sneaky treats from unknowing relatives. Before you let Aunt Helen pass the remaining bite of her raisin-filled banana bread to your precious pooch consider reminding your guests what not to gift your fuzzy child. Should you ever be worried that your pet has consumed something they should not have call Animal Poison Control immediately. Alcohol is a toxic substance and can cause an assortment of health issues for your pets. Symptoms of ingestion include vomiting, diarrhea, damage to the central nervous system, tremors or even death. Avocado contains an ingredient that can cause vomiting and diarrhea. Caffeine, Chocolate and Coffee all contain methylxanthines, found in cacao seeds. If you pet ingests this it can cause vomiting, diarrhea, panting, abnormal heart rhythm, seizures, excessive thirst/urination and death. Darker chocolate is worse than milk chocolate. Baking chocolate is easily the worst. White chocolate has the lowest level of methylxantines. Citrus. The stems, leaves, peels, seeds and fruit of various citrus plants contain citric acid and essential oils can cause irritation and depression to the central nervous system and stomach upsets. Coconut, coconut oil and coconut water can cause upset stomach and diarrhea. Grapes/Raisins can cause kidney failure. Macadamia nuts can cause vomiting, tremors, weakness and depression in dogs. Almonds, pecans and walnuts contain high amounts of oils and fats can cause vomiting and diarrhea and pancreatitis in pets. Dairy can cause issues because pets lack significant amounts of lactase (an enzyme that breaks down lactose). Diarrhea and digestive upset can occur. Onions, Chives and Garlic cause gastrointestinal irritation and can lead to red blood cell damage. While cats are more susceptible dogs can be at risk if large amounts are consumed. Undercooked/Raw Meat and eggs contain bacteria that can be harmful to pets if consumed. Bones can cause pets to choke or sustain internal injuries if bone splinters are lodged in your pet’s digestive tract. Salt and Snack Foods can result in excessive thirst/urination or even sodium ion poisoning. Symptoms can include vomiting, diarrhea, elevated temperature, tremors, depression, seizures and death. This means no potato chips, popcorn or pretzels. Xylitol, a sweetener used in many products (candy, gum and toothpaste) can cause insulin release which can lead to liver failure. 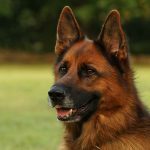 While most people would obviously not jump at giving many of these foods to their pets there are a handful mentioned above that many wouldn’t think twice about. So think twice about it. Think a few dozen times. Your dog can be happy and healthy with the occasional dog treat and their regular diet. A hug or some physical affection is a much better way to show your love than with food, anyway. Preparation for bringing a new puppy home begins before the day you pick him up. He needs supplies in advance of his arrival at your home so he will be comfortable. You should make a shopping list and purchase, water and food bowls, a variety of chew toys, his grooming supplies, a bed, a collar and leash, an identification tag, a crate, a baby gate and an odor neutralizer. Some house training mistakes will most likely be made in the process to get your puppy potty trained and an odor neutralizer can help eliminate odors to help your puppy in his training. Puppies explore the world with their sense of smell and taste. You will need to pick up rugs or pillows to keep your puppy from “tasting” them. Pick up any shoes or clothes in the area where your puppy will spend most of his time and don’t leave any items on the floor except for an assortment of toys. Cover all electrical cords with duct tape on the baseboards near the electrical outlets. This keeps your little furry bundle from receiving a shock while exploring electric cords. Put all cleaning materials and chemicals on shelves up high. Puppies can sometimes get into bottom cabinet doors. Remove any plants from your puppy’s environment as part of your puppy care. Some plants are poisonous to dogs. Ask the person you are getting your new puppy from what type of food he is currently eating and what his feeding schedule is at that time. Purchase the same type of food to start your puppy on without digestive disorders. If you choose to change his food, mix one part of the new food to three parts of the old food for several days. Then, feed equal parts of the two foods for several days and then one part old food to three parts new food. The transition should last about a week to protect your puppy’s sensitive digestive system. Ask questions to find out your puppy’s exact age, if he has had any puppy vaccines yet, and if he has been dewormed. You will need the dates of each procedure so you can tell your veterinarian when you bring your pup to him for a well puppy checkup at your animal hospital. It is best for your organization to get a calendar to post all of your puppy’s appointments for vaccines and boosters. You can do dog grooming if your dog’s breed has short hair that is easy to keep up. If you have a dog with long hair, you may want to check into a professional dog grooming salon. Write your puppy’s appointments on his calendar for his scheduled animal teeth cleaningand keep the phone number of your pet hospital on the calendar in case you need them in an emergency. Take note of your puppy’s normal habits and call your veterinarian if he seems to be feeling bad in any way. Most people have heard of diabetes and understand what the disease entails. However, many do not realize diabetes may affect our furry friends. Unfortunately, unmanaged diabetes may lead to severe canine health problems, loss of limbs, and even death. Before rushing to the animal hospital in fear of dog diabetes, you need to know a few things about the disease. Diabetes occurs when cells stop responding to insulin or an inadequate amount of insulin is available in the body, explains the American Society for the Prevention of Cruelty to Animals. After eating, a dog’s body releases insulin into the bloodstream, which enables glucose to enter individual cells. Ultimately, too little insulin results in not enough glucose—the energy for cells—to fuel cellular metabolism. When this occurs, the blood sugar level rises, which may begin to cause some of tragic illnesses mentioned-above. It’s important to remember there are two types of diabetes. Type I – This form of diabetes involves a lack of insulin production in the pancreas. Type II – This form of diabetes occurs when cells stop responding and when insulin production is reduced. In dogs, Type I is the most common form of diabetes. In cats, Type I is typically found. Increased urination, otherwise known as polyuria. Cataracts, sores, or other skin infections. If your dog has type I diabetes, he will need to take insulin injections every day. You must ensure these injections are given at the same time daily, and the injections need to be given when your dog eats. Speak with your veterinarian about creating a schedule for your dog’s insulin injections and meal times. It’s recommended that you keep a journal of his eating patterns and medication schedules. When first diagnosed, dog diabetes may have progressed severely, and your pet may require in-patient treatment in an animal hospital. He will be given fluids, his blood sugar will be monitored, and he will receive medication treatment. Furthermore, some dog diabetes may be solely treated through oral medication and a high-fiber diet. However, only your veterinarian can make this determination. If your dog is overweight, you should begin working on developing an exercise regimen. This will help reduce the impact of diabetes, and it will help control blood sugar levels. Furthermore, do not give your dog treats with high sugars. You will also be performing routine blood sugar checks on your dog. A blood sugar check requires a drop of blood for at-home testing. If you think your dog may have diabetes, you should contact the University Animal Hospital for a checkup today. By taking action now, you can prevent the worsening of symptoms and other diabetes-related health problems. The Halloween spirit brings along more than just candy and carving jack o’ lanterns. The ringing of the doorbell and constant knocking from inevitable trick or treating children (or opportunistic adults with extra time on their hands…) can cause stress for more anxious pets. The swarm of people wearing grotesque and disturbing costumes and the heightened noise levels can likely be alarming for your fuzzy children. Don’t fret. It’s not all doom and gloom. 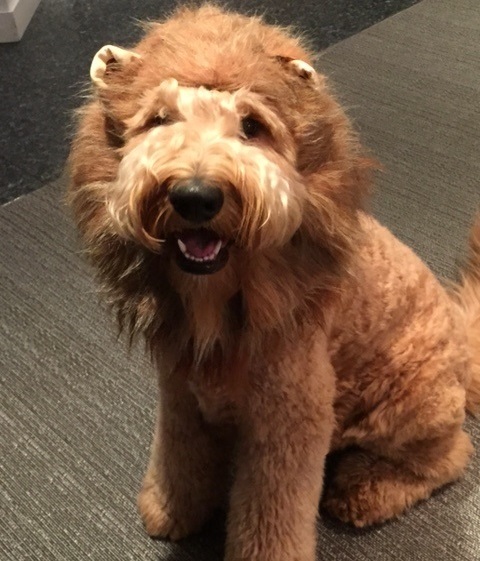 There are plenty of fantastic pet costumes for your dogs and cats these days that make the holiday madness worth it. The National Retail Federation estimates that over 22 million Americans will be dressing up their animals for Halloween this year. They will be spending upwards of $330 million dollars on costumes for their fuzzy children. The most popular costume? A pumpkin. The primary choice among dachshund lovers appears to be a hot-dog costume. Personally, I feel this would be insulting to your pet despite how hilarious it might look. There are far better costumes you can dress them as. Bill Murray? Dorothy? Freddy Kruger? School-Girl? A shark? The costumes available for pets has completely overshadowed what was available for human children was I was young enough to trick or treat. In 2015 there are some truly clever options for your pet to be a part of the holiday. For pets that get a little anxious in large crowds or with too much noise consider a few options to increase their comfort level. For example, if nonstop doorbells and constant knocking might result in excess barking consider giving your dog a closed off area with puzzle toys or chewing treats to keep him or her occupied. Close the shades and turn on some calming music. Many pets are also lost on Halloween due to the constant opening and closing of front doors. If your pet is not currently micro-chipped perhaps that is something you should consider. It can be done easily by making an appointment to see one of our amazing staff veterinarians. Many pets rely on our facial expressions to know how we are feeling and having masks on can make it scary for a lot of them. When addressing your fuzzy children let them see your face without a mask, if possible. Take steps to ensure your pets do not have access to any candy or treats that might be left around the house. Even on the upper east side you’re likely to get some foot traffic outside your apartment from child-sized ghosts and ghouls demanding sugary treats and these can be easily dropped on the floor or left at the edge of a table within reach of your pet’s awaiting mouth. When food is involved fuzzy children can get very resourceful. Above everything else just remember that Halloween in New York City is a fun and festive time and even your dog and cat deserve to share in the celebration. There are plenty of ways to get them to join in the fun.